Dazzling holiday lights on at dusk each night this season. Holiday kick off event Fri 11/16 from 5-7pm…Stroll with Us info above. Ornament making or create a sun catcher with Stained Glass Garden staff. We supply everything, even the stocking! Enjoying their hot cocoa with Grandpa! Sat & Sun 12/22-23 from 12-4pm. Live jazz with PJay Smik Smak & the Cliffnottes, as we stroll and look at the lights sipping a warm cup of tea, coffee or cocoa, puppet shows and a LED snow fairy on stilts! B.O.S.S. picking up all of the donated coats and rain gear 2017. Help us keep them warm again this year! Donation info above. Thank you! We hope you can join us on Fourth Street this season as we have so many things happening. No matter what you have planned, don’t miss the holiday light show on every night this season at dusk. It really is a sight to be seen, 3 blocks worth of sparkling color! Each night at dusk the street comes alive with sparkling color. Join us this season for a stroll with family and friends. We admire the sights and reflect upon what we are thankful for as well as our wishes for the new year to come. Happy Holiday to you and your family! Participating shops may vary, call specific shop for details. Fourth Street will be collecting new and gently used coats and rain gear (boots, rain hats, rain jackets) to be donated to B.O.S.S., a long-time neighboring organization that helps individuals and families who are currently homeless. Meet Santa and Mrs. Claus in the Fourth Street forest. We have created a snowy woodland where Santa and Mrs. Claus will be ready for you in his antique, red sleigh. Bring your camera and hop up into the sleigh for pics. Bring a gently used or new coat to donate if you can, benefit for B.O.S.S. Rain or Shine! Shop from local maker’s selling everything from jewelry, art, apparel, handbags and more. Each day is different! Location: Enter near Warby Parker or behind Soul Cycle at 1910 Fifth Street. A holiday tradition, this project allows you to design glass pieces into an ornament or sun catcher shape then staff put it in their kiln and call you in a week for pick up! Good for ages 3 and up. More info about Stained Glass Garden here. We are so excited to host two shows from the famous Fratello Marionettes. They will perform The North Pole Review. Each show will be 30 minutes long. Rain may cancel. 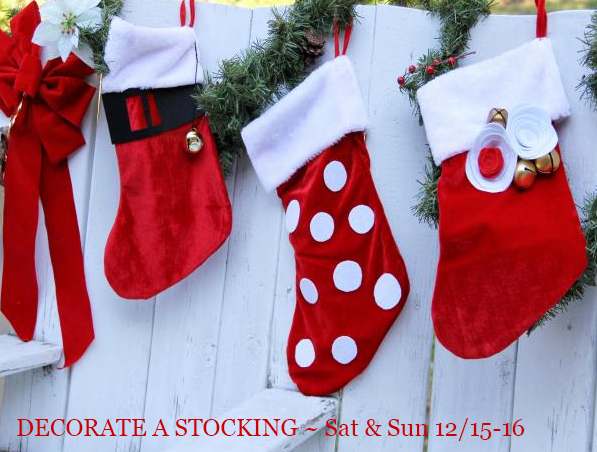 Come select a holiday stocking to decorate with a variety of your favorite charms and characters. All materials provided, stocking included. Rain or shine! Bring your voices to sing carols with us. 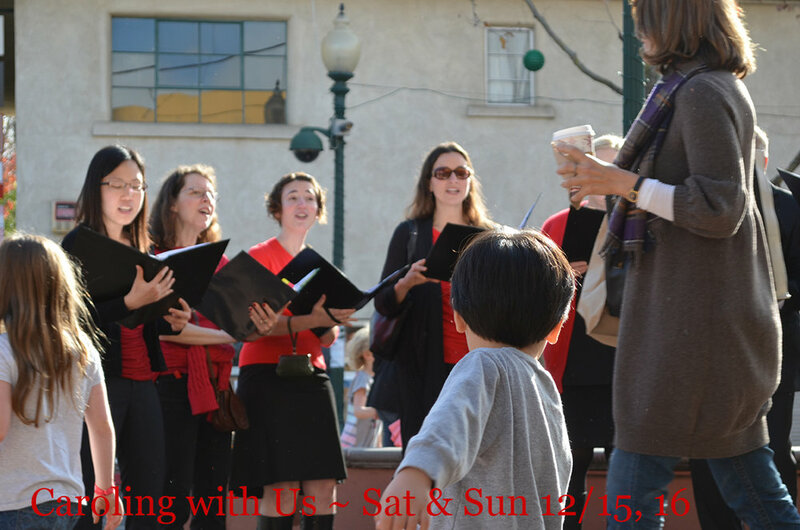 We will gather near Peet's and walk from there or stay put for an old fashioned sing-a along. Rain does NOT cancel - just bring your umbrella! Come enjoy a warm cup of cocoa and customize it with your favorite tasty toppings: whipped cream, marshmallows, sprinkles...oh my! Rain or shine.